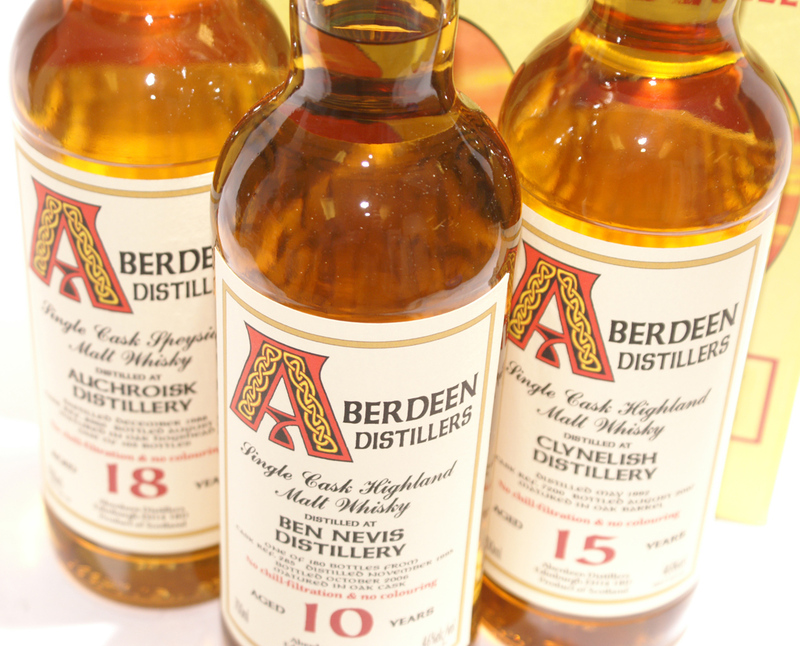 Aberdeen Distillers' whiskies are bottled without chill or heavy filtration and without the addition of any caramel colouring. Each whisky is bottled one cask at a time and, because of the low level of filtration, all the natural oils, fats and flavours are left in the whisky for you to enjoy. The first release in this series was nine different non chill-filtered whiskies bottled at 43%. These offer surprising strength and length of flavour for a very reasonable price. 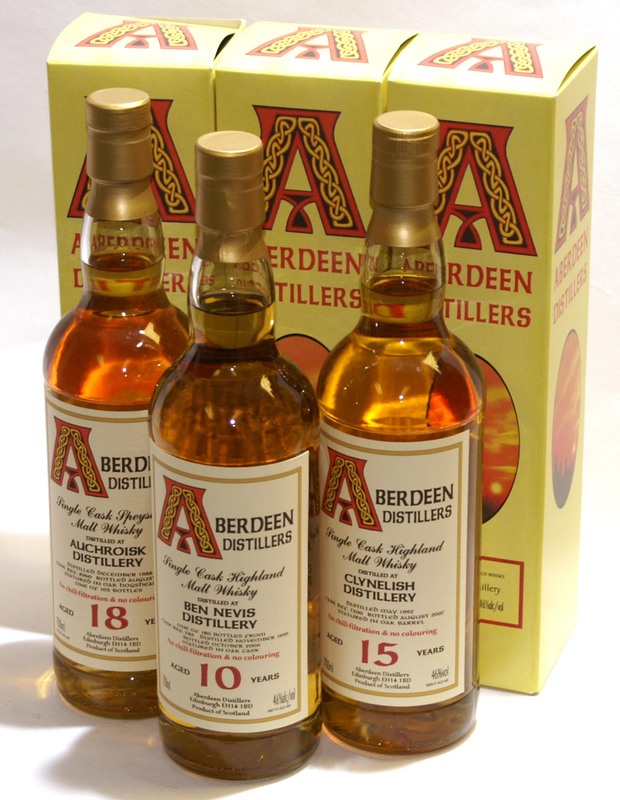 The new range of malts was selected from the following distilleries: Auchentoshan, Bowmore, Caol Ila, Glenrothes, Ledaig, Macallan, Rosebank and Strathisla. 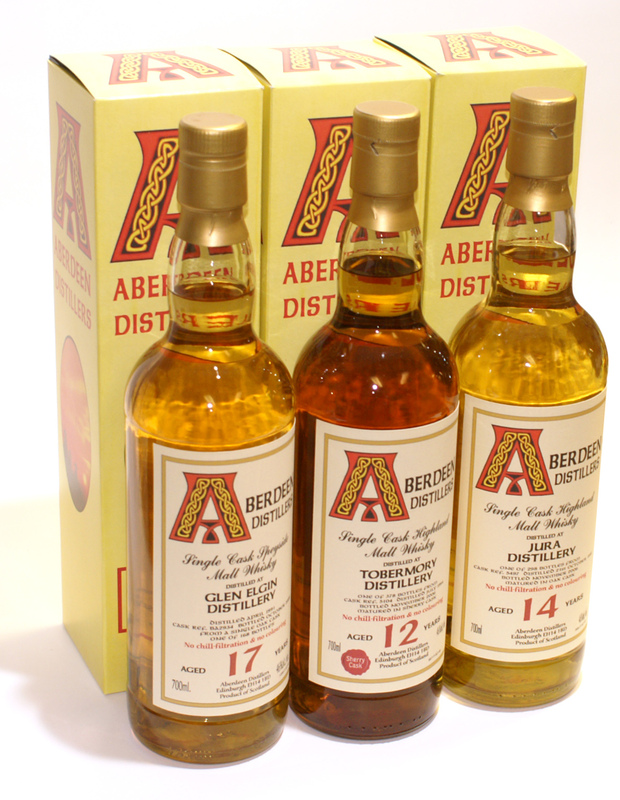 The new selection of Aberdeen Distillers whiskies is being bottled at 46% vol and will include a sister cask for the award winning Rosebank. 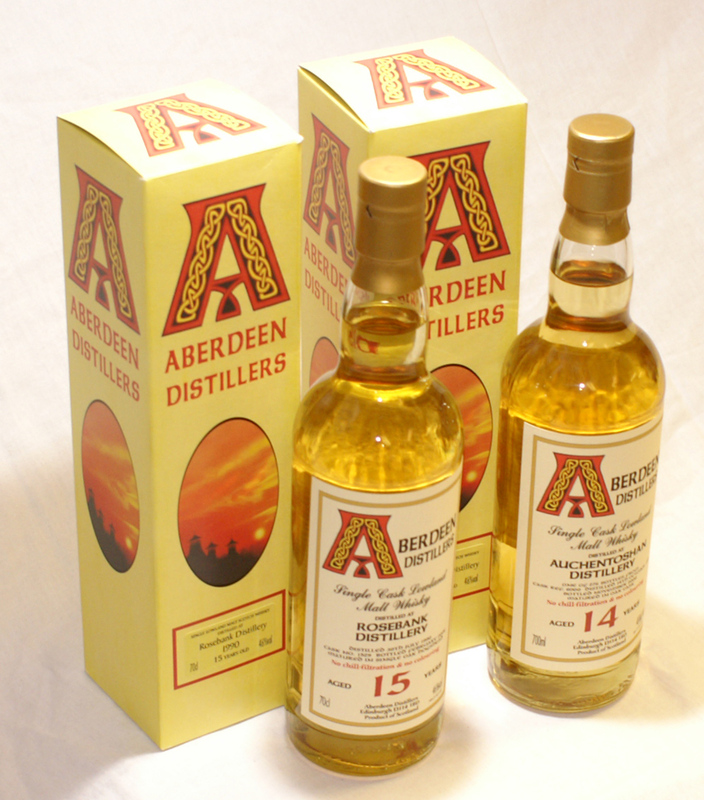 A superb 46% 14yo Balmenach, score 86 in the Whisky Bible, is available in Taiwan.